Corkscrew Appraisals - Robert Smith's Corkscrew Story. 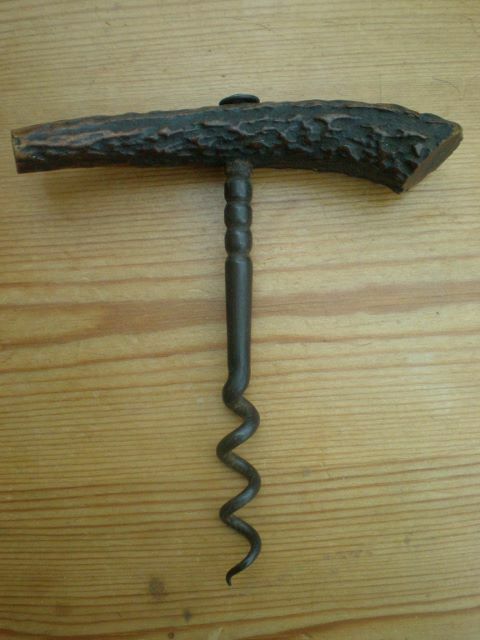 Home » Blog » Robert Smith's Corkscrew Story. I got the urge to collect antique corkscrews after I inherited a plain, horn handled straight-pull from my late maternal great-aunt, around 1990-92. She had been living with her mother (my great-grandmother) and inherited all of her possessions when she passed away, and I assume the corkscrew had been purchased from new in the mid-late 1800s, as it had apparently always been in their house. It came to my mother upon my great-aunt's death, and as she had no need of it, she asked me if I would like it. I remember studying it and thinking what a lovely little thing it was - utilitarian, but with lots of character. I knew it was worth very little, but the fact that it had been in my family from new gave it sentimental value, which endures to this day. I kept it, and have never used it for fear of breaking the fine tip. Shortly afterwards, I saw several similar ones and other variations at a local antiques fair......I purchased another, just on a whim......then on a stall which was selling books on every collecting genre possible, I saw a copy of 'Corkscrews for Collectors' by Watney & Babbidge.